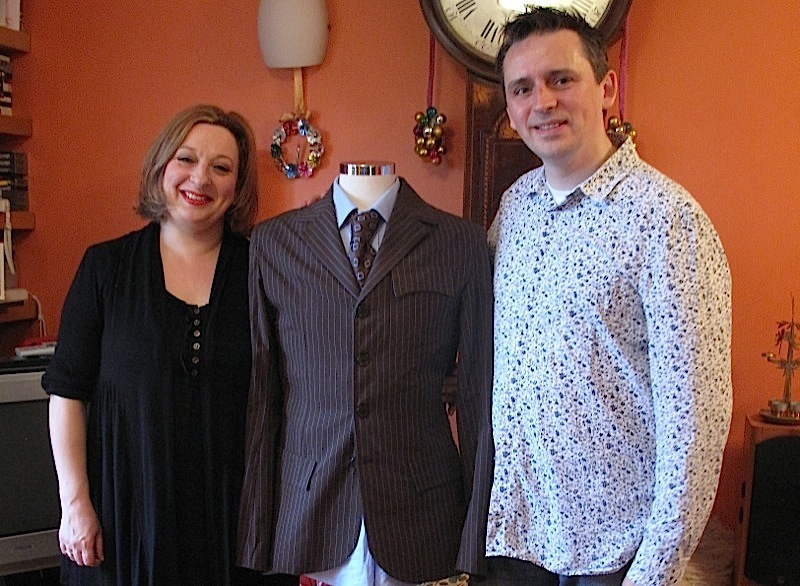 If you follow my Tennant Suit Blog you will have seen I recently had a very special visitor - Doctor Who costume designer Louise Page. 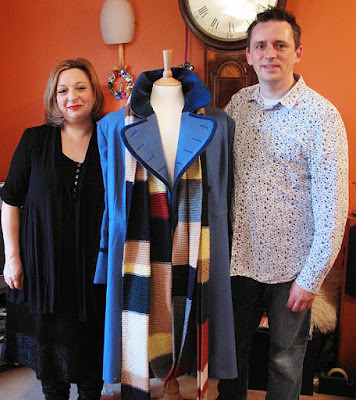 She came to see me so we could chat all things Tennant about the iconic suit and coat she designed for the Tenth Doctor. 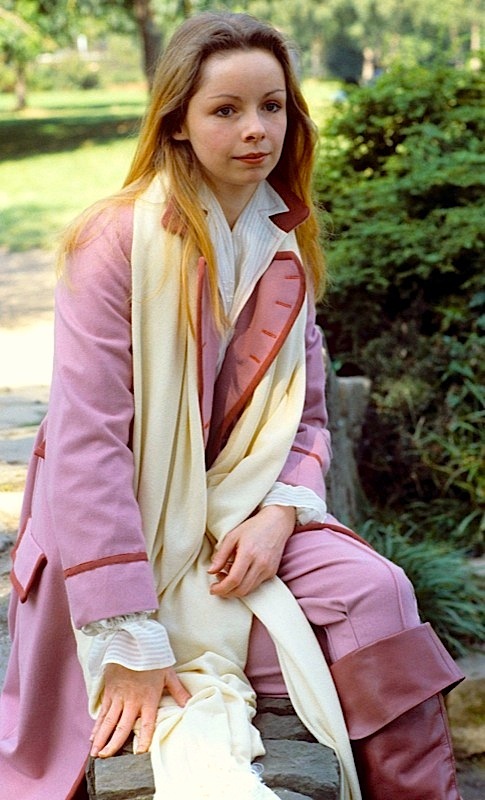 Well while she was here, and before the Romana coat was sent off to the client, I showed it to her. The coat it is based on was a personal favourite of hers from the classic series, so she instantly recognised the inspiration behind it. 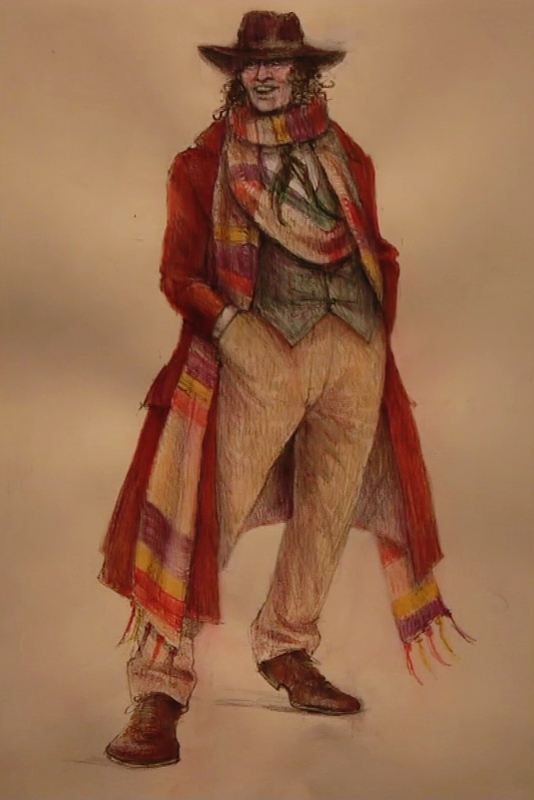 To complete a faux Fourth Doctor look I threw my old scarf - hand-knitted by my mother back in the late 1970s. It nowhere near screen accurate, but of immense personal sentimentality. If you regularly follow my blogs, you may have seen The Twelve Regenerations Of Christmas strand that I have been running on the Eleventh Doctor blog. I have been sharing a mixture of fun things you might have missed; stuff from my archive; and a few new revelations. As well as new series stuff, I have touched on some classic Who. Here are the entries of Forth Doctor interest worth look over. 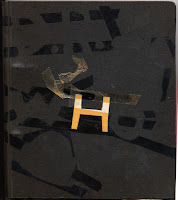 Since a lot of people would not have seen my original posting here, I shared my childhood scrapbooks. 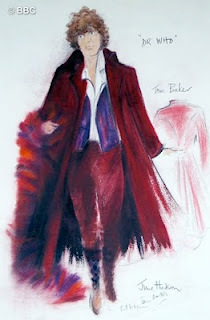 These were assembled towards the end of the Pertwee era and into the early part of Tom’s. 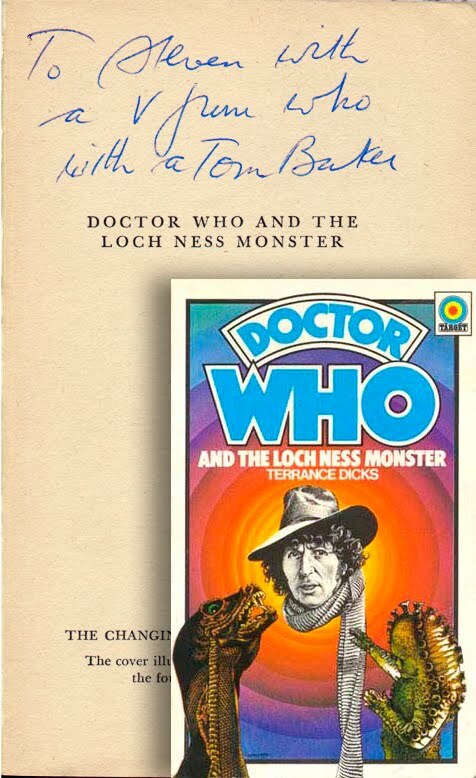 Amongst the gems on show was my treasured signed copy of the Doctor Who And The Loch Ness Monster Target novel (see right). I took a trip back through all the surviving costume designs I could find for the Doctor. 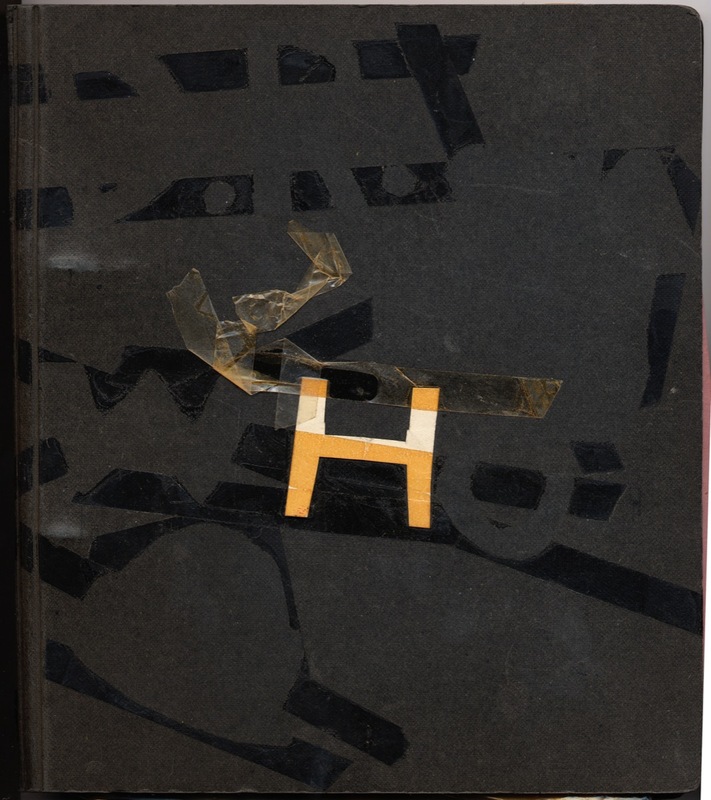 I found two for Tom – one by james Acheson,; the other by legendary June Hudson. I took a look back at the 1970s BBC vt Christmas tapes that were assembled for the infamous Xmas parties. One contained a specially shoot skit with Tom Baker and Mary Tamm; another featured a dalek.